Franjuvis is an all natural skin care company. Its founder is a chemical engineer. She likes to combine her technical knowledge and apply them to all natural ingredients to produce the best quality products on the market. I chose beige, navy blue and pure white to illustrate the elegance of the brand. 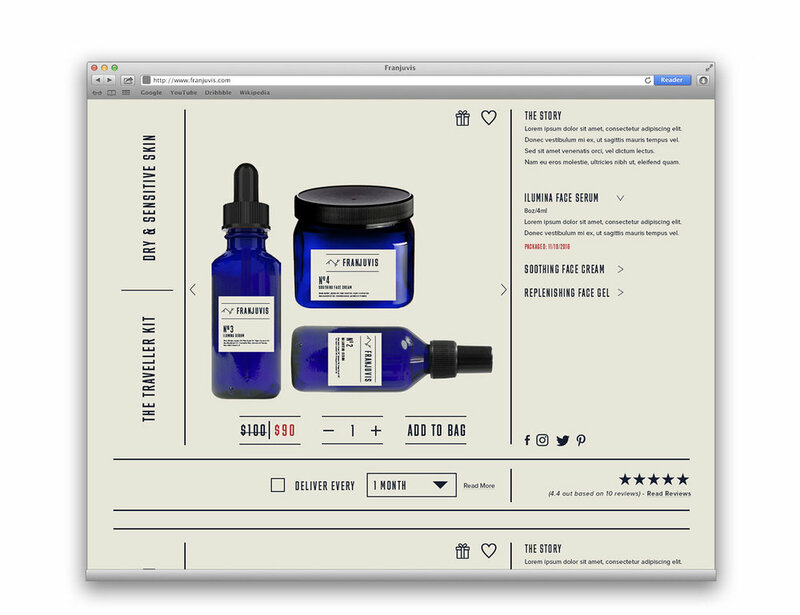 I also chose MFred font as it has an apothecary feel to it to illustrate the hand crafted vision of the brand.